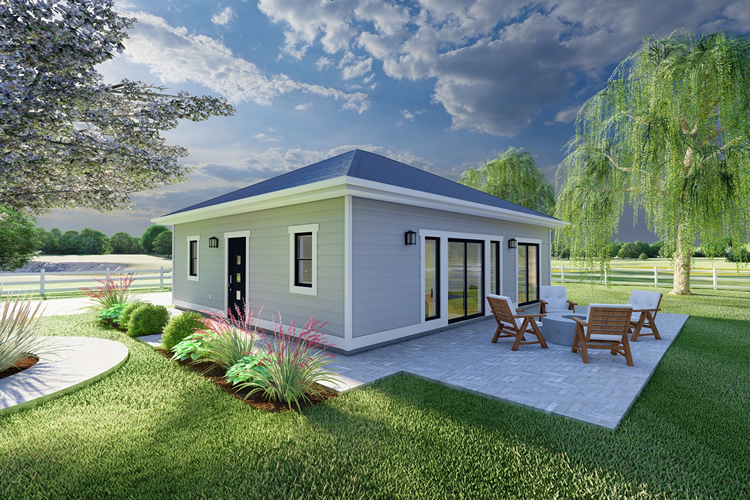 This compact plan features a fully equipped kitchen with a walk-in pantry and eating bar that comfortably seats up to five. The spacious floor plan accommodates full sized furniture and appliances. 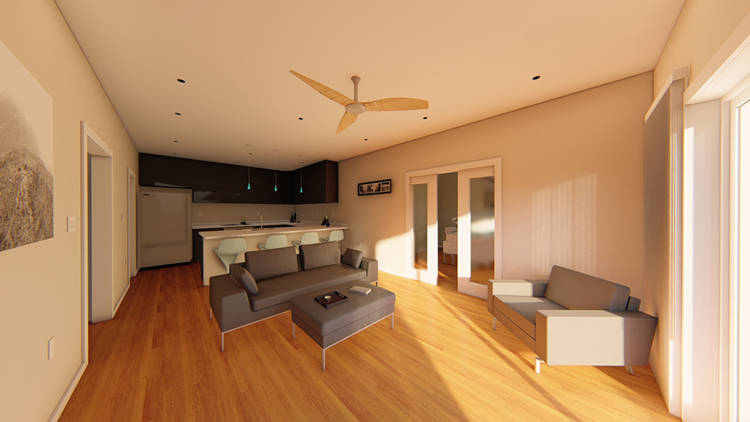 9' ceilings and pocket doors throughout the home create a spacious and open feeling. The pocket doors leading into the master suite can either be closed for privacy or can provide a large 5'4" opening. The modern walk-in shower provides both easy access and eliminates maintenance required by glass doors. Measuring over 6' from end to end, the shower accommodates dual shower heads. The master suite also includes a dual vanity and a large walk-in closet. Year round living is enhanced by a spacious coat closet in the entrance along with a laundry room and half bath for guests.